Katja just made the final table in EPT Warsaw event! Going into the day short on chips she managed not only to survive and get into the money, no, she went straight ahead to the final table. Probably I am much more excited here in Germany then Katja herself over there in Poland. I have not long talked to her, she gave me two calls during the breaks, telling me what happened. First one was when she won a key hand vs. the very same guy that busted her in EPT Dortmund – and it was the very same hand! Katja had T-T and the guy held A-K. All the money went in preflop. In Dortmund there was a King on the river to bust her, in Warsaw there was a third Ten on the flop (and no Ace or Kind on the board of course as usual when you don’t fear it) so she survived and left the guy crippled. 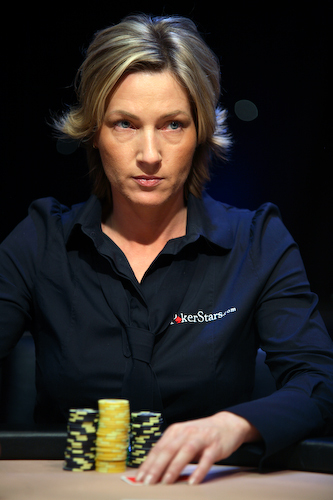 Second time she called me I actually thought she is out in 9th place – I knewd the action was nine handed, the "real" final table (EPT final tables are 8 handed only) from following live updates in the internet. When I saw her caller id on my phone I natually thought "Oh well, she was short on chips, she busted, too bad". But boy I was wrong! She called because she was on – penalty! Katja? She told me that she accidently showed her hand after going all-in and getting called, not seeing there was one more limper (his cards have been hidden a little below his stack but he did clearly call). That guy called also, holding many chips. They gave her a 10 minute penalty but her hand was live. Of course, she still had to win the pot to be egliable to use her penalty 😉 – Katja had shown Q-J. First limp-caller checked the Q-Q-x flop, other guy went all-in. First guy instacalled, holding the same hand as Katja, Q-J. ‘Poor’ and bad playing second limper called, showing A-A! No ace on turn or river and Katja won half of the main pot, bringing her stack to just about 100k (still very small). Katja never complained about getting the penalty and I think it was the correct decision also. Here is a perfect example why it is so important that nobody acts out of turn – the poor guy with A-A naturally thought his A-A is good on the Q-Q-x board when he saw that Katja is holding a Q – he can’t give that last Q to his opponent. With Katja’s hand still unknown his play might have been different, not knowing that he has very little chance to win the main pot and giving more Q-credit to his opponent. While Katja was in her penalty it took only 3 hands when some poor guy ran his A-K vs. A-A and busted. Katja made the final table! She is second shortest stack but that might mean nothing, she done a great comeback from a small stack that day also. Also, she has 30,000 euro secured and if she manages to only survive one more player she is already at 40k (360k to the winner). Fnal table starts today at 2 pm. I wish her all the best! Go Katja! 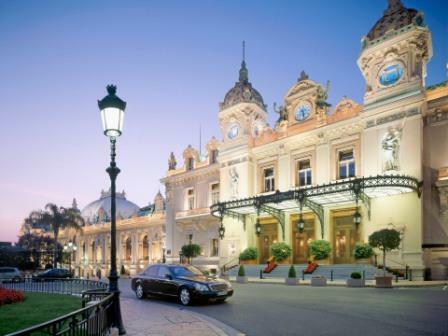 I am defintily playing the EPT Monte Carlo. I paid my 10,000 euro buyin yesterday (yes, a day before knowing Katja is going to score in Warsaw ;). Looking forward to a great event – they expect 600 (!) players there and just added a full day so they can stick to 90 minute levels.